Objectives of the project was to complete the infrastructure that exists in the Greek Army’s History Directorate (AHD) with the supply of equipment and software, the complete digitization of historic archive referred to war periods of Greek Nation from 1897 until today, the creation of information portal and the production of multimedia publications that refer to two thematic frameworks of modern Greek history. The project was awarded to Archetypon S.A. for which our company was subcontractor. The results of the project made more efficient the allocation, management and use of the entire archive. 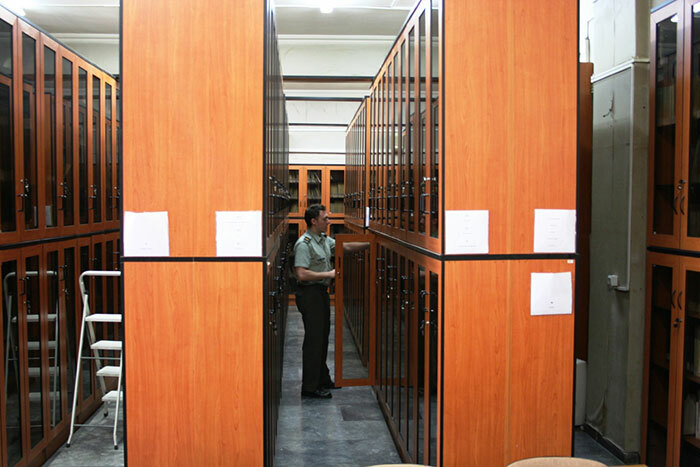 In particular, the results were the protection of the Greek cultural content from natural wear, the provision of the entire archive in digital form using web technologies, the dissemination and promotion at national and global scale of modern and contemporary Greek military history ―only known that day to a limited audience (specialized scientists, military personnel), the increase of the number of archive's users, the exploitation of the archive for expansion of AHD's activities, the usage of the material from the scientific community and the contribution to the progress of historical research. Furthermore, the production and promotion of electronic multilingual high quality publications highlighted important aspects of modern and contemporary history of Greece. Our company's involvement was the digitization and documentation of the archive.